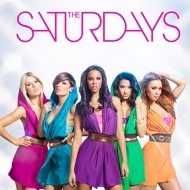 La letra de la canción "30 Days" interpretada por The Saturdays fue publicada el 20 de mayo de 2012 con su vídeo musical. 'Till that moment you are mine. But don't worry, I'll be back again. You're what I need and all I know. 30 days to love (love). Escuchar The Saturdays 30 Days Lyric Video.